Today Red Fly Studios posted this image on their Official Facebook page for Teenage Mutant Ninja Turtles: Out of the Shadows. It doesn't give us any information what-so-ever, other than the fact they are still paying attention to it. There is still no potential release date given. No new information at all. Just an image. But, something is better than nothing, right? I have a sneaking suspicion they may be trying to port it to PS4 (or Vita) as well for a dual-system Playstation release, but that is merely my own speculation. I should note that Red Fly doesn't seem to reply to any communications, as I have not gotten a single response to emails. Others I've spoken to are in the same situation- no replies. One might suppose they are being inundated with hate mail though, so I suppose that is to be expected. I mean visit their Facebook page for Out of the Shadows, it's a long bombardment of uncivil comments, with a few good ones peppering it for good measure. We'll have to settle for patience and be on their schedule. Besides, we'd rather have a bug-less, playable game than a constant glitch-fest when we finally get the game. They also have released a trailer, a while ago, for Inertia: Escape Velocity. So I am sure they are pumping most of their work into the new game. 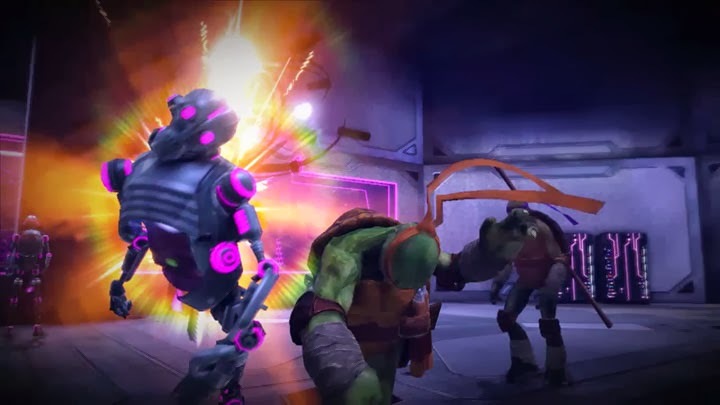 And despite my desire to play TMNT: Out of the Shadows, Inertia looks pretty good. Where's Lindelof: Fake News About Damon Lindelof? Marvel & Netflix: Where's a She-Hulk Show?